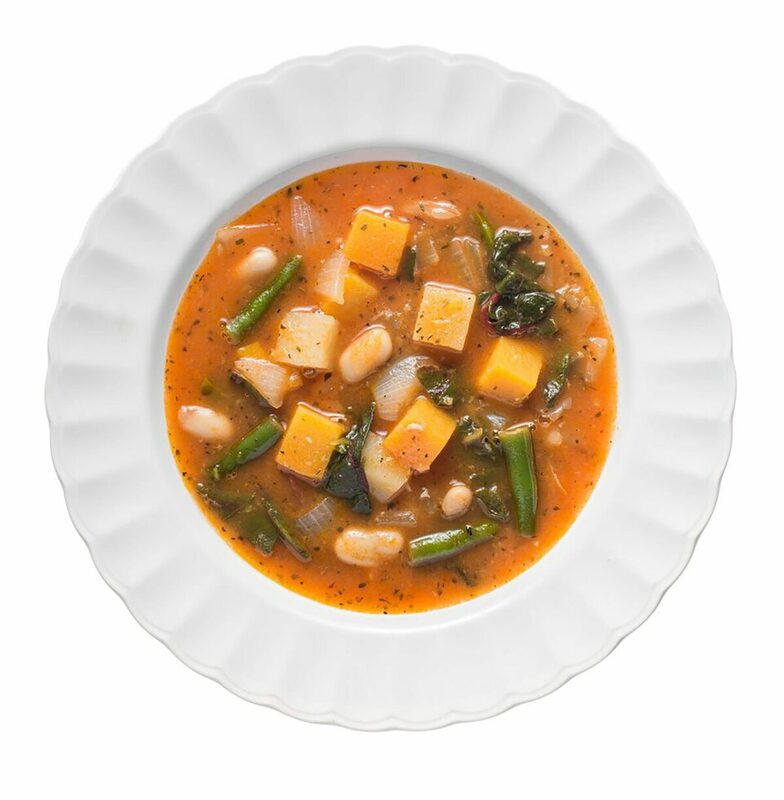 Fresh butternut squash adds an autumnal theme to this wholesome, ultra-chunky, satisfying gluten free minestrone soup, while red wine vinegar brightens up its flavors in the best way. Add 1 cup cooked gluten-free orzo or macaroni when you add the beans to make it even heartier. Leftovers will thicken, so stir in some water before warming. In a large pot over medium-high heat, warm the olive oil. Add the onion, garlic, and 1/2 teaspoon kosher salt and sauté, stirring occasionally, until tender, about 3 minutes. Add the broth, 1 teaspoon salt, 1/4 teaspoon pepper, the tomato sauce, squash, potato, green beans, and herb mix. Bring to a boil over high heat, then reduce the heat and simmer, uncovered, 10 to 12 minutes. Add the chard and canned beans and cook until the potato is tender and cooked through and the chard has wilted, about 3 minutes longer. Stir in the vinegar and season to taste with salt and pepper. Transfer to bowls and serve.